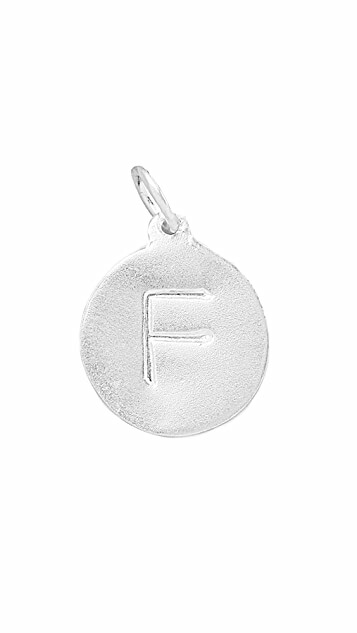 This sterling silver charm features a stamped letter F. 1/2" wide. Gorgeous, I have given to many friends. Always get compliments. Does not scratch and is very high quality for the price.